Where Theodora went, trouble followed…. 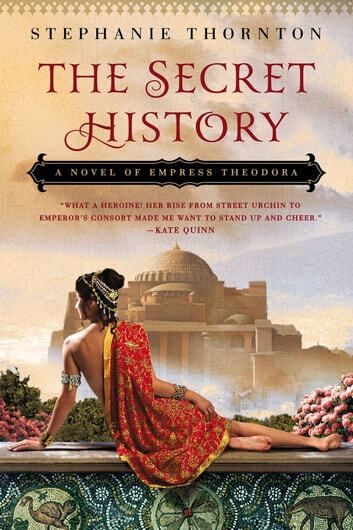 In sixth-century Constantinople, one woman, Theodora, defied every convention and all the odds and rose from common theater tart to empress of a great kingdom, the most powerful woman the Roman Empire would ever know. The woman whose image was later immortalized in glittering mosaic was a scrappy, clever, conniving, flesh-and-blood woman full of sensuality and spirit whose real story is as surprising as any ever told…. 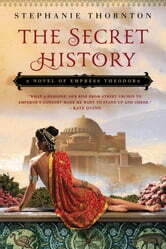 After her father dies suddenly, Theodora and her sisters face starvation and a life on the streets. Determined to survive, Theodora makes a living any way she can—first on her back with every man who will have her, then on the stage in a scandalous dramatization of her own invention. When her daring performance grants her a backdoor entry into the halls of power, she seizes the chance to win a wealthy protector—only to face heartbreak and betrayal. Ever resilient, Theodora rises above such trials and, by a twist of fate, meets her most passionate admirer yet: the emperor’s nephew. She thrives as his confidant and courtesan, but many challenges lie ahead. For one day this man will hand her a crown. And all the empire will wonder—is she bold enough, shrewd enough, and strong enough to keep it?